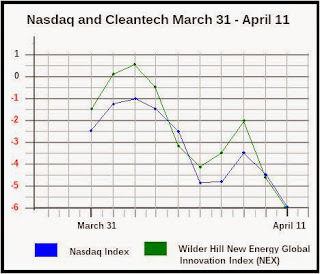 Declines in the Nasdaq are capturing headlines and cleantech composite indexes appear to be following suit. Despite being a top performer over the past two years, cleantech is being dragged down with the rest of the market. In 2013 the cleantech index was up 58 percent but there were plenty of stocks that doubled and even tripled. Technology stocks have taken a big hit over the course of the last few weeks and this is directly impacted cleantech stock performance. 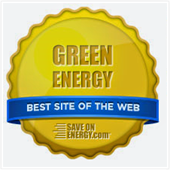 Technology is one of the biggest drivers of sustainability. 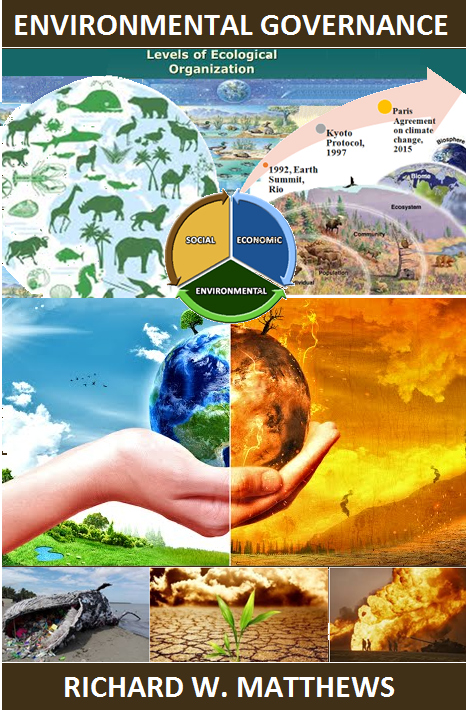 While cutting-edge green technologies have the potential to improve quality of life, reduce environmental impact and generate profits, the reverse is also true. A slowdown in cleantech can also slow technological efforts to address the environmental challenges we face. The value of technology stocks are dropping fast. On Thursday April 10 alone the Nasdaq composite index plunged 129.79 points, or 3.1 percent, its biggest drop since 2011. This is part of a few rough weeks for tech stocks. The Nasdaq composite closed out its third losing week in a row. The Nasdaq lost 54 points, or 1.3 percent, to end at 3,999 Friday. It was only the second time this year the index has closed below 4,000. It's down 8 percent from the high it reached in early March. The Nasdaq is not the only index that is suffering. The Standard & Poor's 500 fell 17 points, or 1 percent, to 1,815. 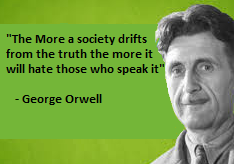 The Dow Jones industrial average fell 143 points, or 0.9 percent, to 16,026. 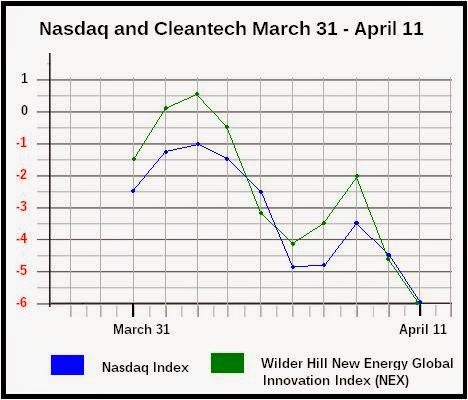 Wilder Hill New Energy Global Innovation Index (NEX) - which measures the performance of global clean energy stocks, declined 2.93 percent between April 7 and 11. and 5.46 percent between April 14 and March 11. Cleantech Index (CTIUS), which measures the performance of global cleantech stocks declined 2.50 percent between April 7 and 11. While government policy has been less than ideal and the reluctance of some businesses to buy in has slowed the adoption and scaling of cleantech. However, much of the declines are attributable to investors abandoning Internet and biotechnology companies. The decline in tech stocks and cleantech in particular appears to be following the reverse of the old adage that a rising tide floats all boats. As explained by Pavel Molchanov, "cleantech stocks, like most tech stocks, will outperform in a bull market and underperform when the Dow is under pressure."